This brown leather wrap hip flask is the perfect gift for a skiing or snowboarding fanatic. This stainless steel hip flask with a brown leather effect wrap makes the perfect gift Christmas gift for somebody who loves to head of into the mountains to ski or snowboard every winter. They can use the hip flask to help keep them warm on cold, snowy days and when filled with the spirit of their choice, be it rum, whiskey, sherry, vodka or gin, it is sure to warm their cockles and keep them toasty on the winter days. 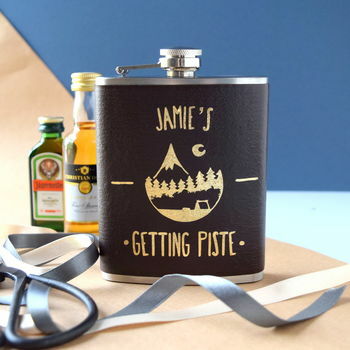 The personalised hipflask is a play on words with the skiing term Piste and will be loved by anybody who loves to ski but prefers the apres ski part of the holiday. The Christmas hipflask is engraved with the name of your choice and the words "Getting Piste"
This makes the perfect gift for somebody about to head of on a ski season and spend their whole winter in the mountains. Why not fill it with their favorite tipple for a complete Christmas gift. 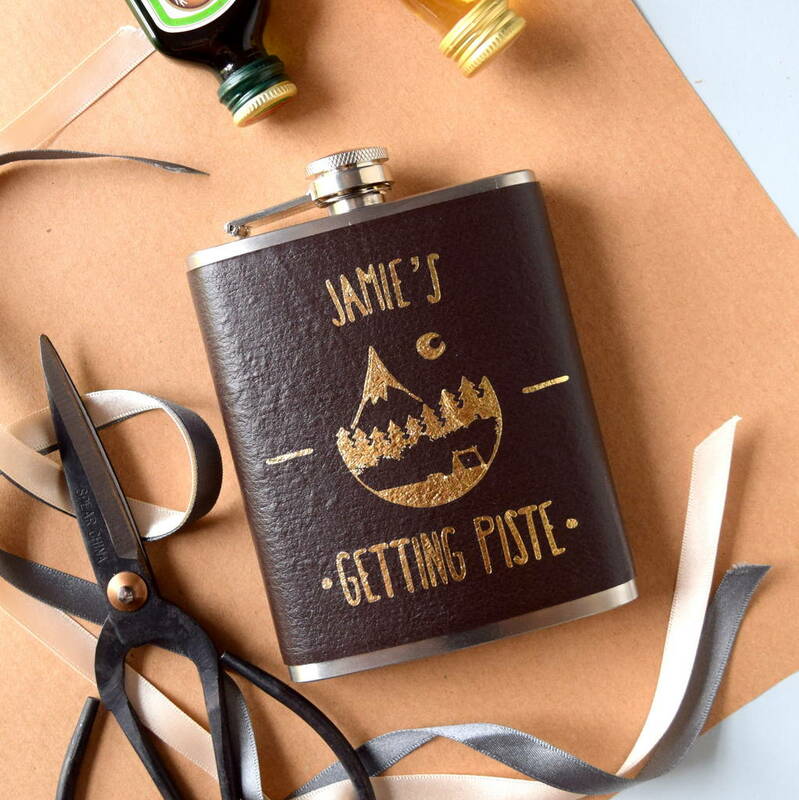 The hip flask can be personalised with name of your choice. Stainless Steel with brown leather effect wrap.